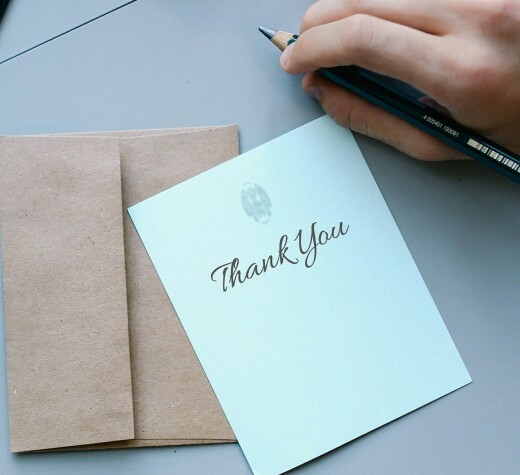 When was the last time you wrote a thank you card? If it's been some time, you may be at a loss for what to say. There are many generic thank you cards with an equally generic message. Although these may do in a pinch, they really aren't ideal. If the person has gone out of their way to give you a gift or helped you in some way, something personal is a better choice. I'll give you some ideas that you can customize as you like to fit your requirements. 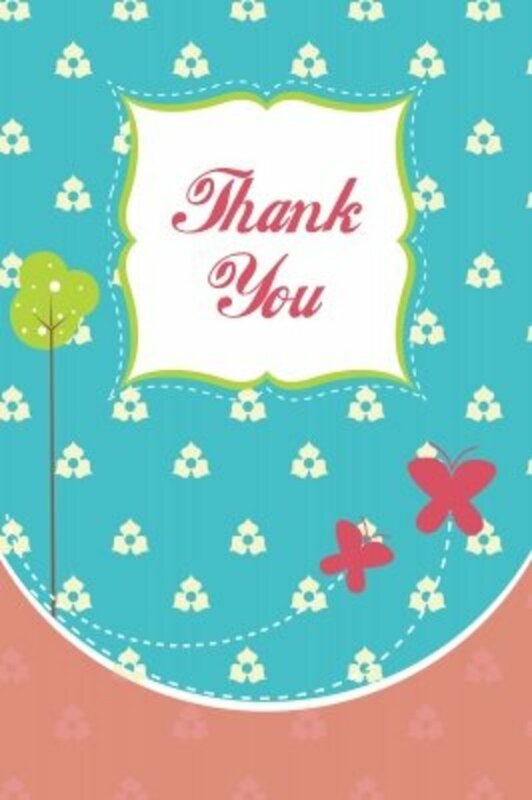 I'm a designer on Zazzle, an online print on demand company based in California, and thank you cards are a popular seller. Although I put a sample message inside the card, the majority are personalized by the customer on the site to get a card that's unique to them. Using the idea generator below, you can create a thank you message to meet your requirements. This is of course just the start as you can embellish it with your own touch and flair. Select, a word or phrase from each section. This will give you the core of your message. You'll start with an introduction, mention the gift or action, express your feelings and then close. Let's say someone gave you money in a birthday card. Your thank you could be. If someone has offered advice, whether you decided to act on it or not, a thank you will be welcomed. If you've been given a gift, mention it in your card. Dear Emily, We were surprised by your wedding gift of an espresso machine,we adore it. You always seem to know just what we'll love. Thanks for being such a special friend. I'm sure I'm not alone in receiving gifts I wouldn't use or didn't like. Nonetheless, it's still a good idea to send a word of thanks. Let me give you a personal example. My grandmother loved crocheting and made me a pink crocheted vest with flowers on it. Now, it would be considered boho chic, but for an awkward teenager who was trying to blend in, there was no way I would wear it in public. Still, a thank card had to be written, my mother was insistent. The key is to concentrate on the gift's good points. This message not only made my mother and grandmother happy, but it also meant I didn't have to lie. Pick out the positive points and target your note around those. 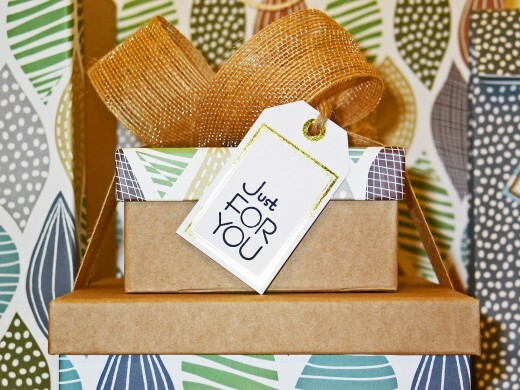 'Regifting' is now a popular way to circulate the gift to someone who might appreciate it more. 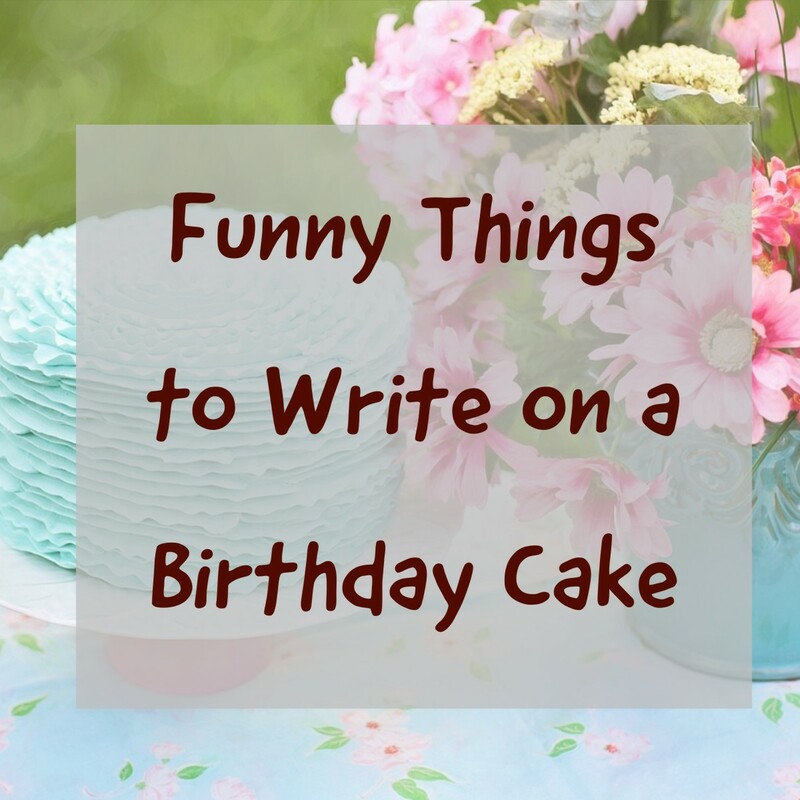 If you're on any social media channels and have listed your birthday on them, you'll know that you will be swamped by birthday wishes. I am surprised at how popular some people seem to be. This is of course, not the case. If you doubt this, take your birthday off and see how many genuine wishes you get. Let me put my cynical side away and help you get some ways to give a general thank you to everyone who has wished you a happy birthday. You could of course reply to each wish individually or just use a one time hit, usually the following day. You'll still get some people wishing you a belated birthday, but good etiquette says you should be thanking people promptly. I was genuinely touched by the many birthday wishes and kind thoughts. Thank you to all of you. Wow, I was overwhelmed by the outpouring of birthday wishes. My sincerest thanks. You guys rock! Your birthday greetings were fantastic. Thanks so much for making my day. Although I may not have seen some of you for a very long time (or ever), I know the birthday greetings I received were sent with thought and love. So too is this thank you. You made my birthday special, thanks. It's fair to say that teachers have a huge impact on a child's life and a small token of gratitude is warmly received. This can be during the holiday season or at the end of the term. Even a card with a kind word will be a welcomed gesture. This year, (insert child's name here) was both motivated and inspired by you. Thank you for making this a productive and fantastic year for (him/her). Thank you for your kindness and understanding through this past year. Have a wonderful summer vacation. Thank you for your caring and guidance. Miss Jackson, (insert child's name here) has blossomed this year and looked forward to attending school every day. Thank you for everything you have done. Although (child's name) was absent for most of the beginning of the term due to illness, (he/she) enjoyed the time spent in your classroom. Thanks for taking the time to make sure (he/she) didn't fall behind. If you wish to express gratitude for a service such as to a carer, nurse, doctor, here are a few ideas to consider. 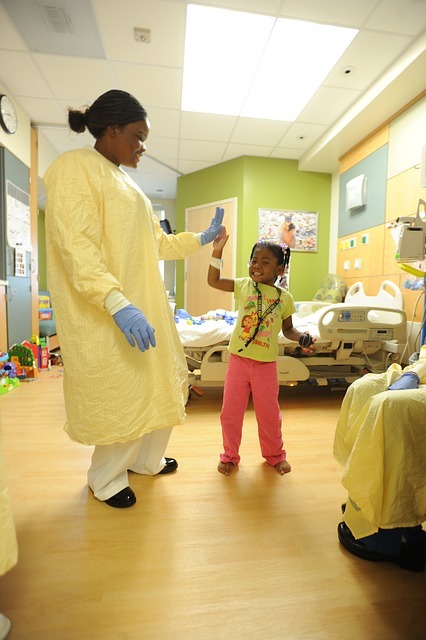 Nurses are the unsung heroes and heroines of the medical profession. In fact, one of my most purchased cards is a thank you to a nurse. Nurses seem to make a stay in a hospital bearable. Whether the card is on behalf of yourself or a loved one, a thank you to a nurse or a team of nurses, is a great idea. Again, a heartfelt genuine thank you is best. Dear Michelle, I couldn't have asked for better care for my mother in her final days. You showed great kindness and humanity during her stay. As you know, she was afraid of staying there but your warm manner and jokes, made her feel at ease. Your actions not only help her but all of us and we knew she was at peace. You went above and beyond what anyone expected, and my sisters and I will be eternally grateful to you. You are a gifted and kind woman. Doctor Anderson, thank you for your care and professionalism during my father's recent incident. Knowing he was in good hands helped both of us. 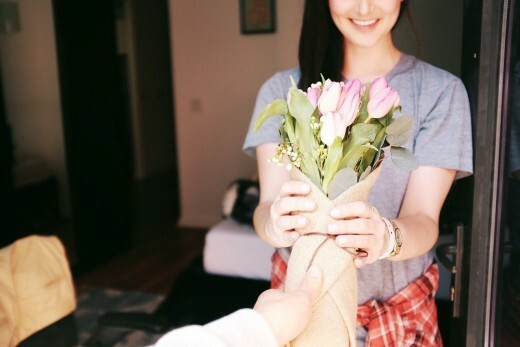 Yes you're right, the act of gratitude makes us feel good about ourselves too. When we stop to think about it, kind gestures don't have to be big, they just have to be genuine. 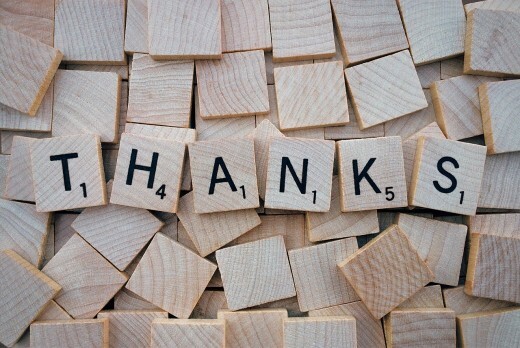 Great article, with nice suggestions about writing Thank you messages. It’s so important to be thankful and acknowledge the other person’s work or some other efforts. Not only does it make him/ her happy; but it makes us also happy. Thank You for sharing these wonderful thoughts! You're very welcome, I'm pleased you found it useful. You're right Larry, it is more meaningful and personal than a text message or email. It shows that the person has gone out of their way to select a note card, thought of a personal message and either mailed or hand delivered it. Now that shows gratitude. Thank you for the great article, Mary. I think thank you cards are so important and it seems like so many people are getting away from them. A lot of people now send an email or a text message. I guess it is the modern age but a thank you card shows that someone means so much more to you. You're welcome Rajan. Personal mail is now even more welcomed than in the past. Everyone expects a text message or a phone call but to receive a hand written note, it's wonderful. Mary, thanks for sharing ideas which will give a more personal touch to thank you messages. Mary, thank you for sharing ideas which will give these messages the much needed personal touch. You're right, it now seems a rarity to receive a hand written card. In our fast paced lives, we often use the phone or a message to communicate our sense of gratitude. I think when we do receive one, it makes it even more special because it happens so rarely now. After a wedding, for example, couples generally still send out a thank you card. However, this too could be a tradition that will soon die out. 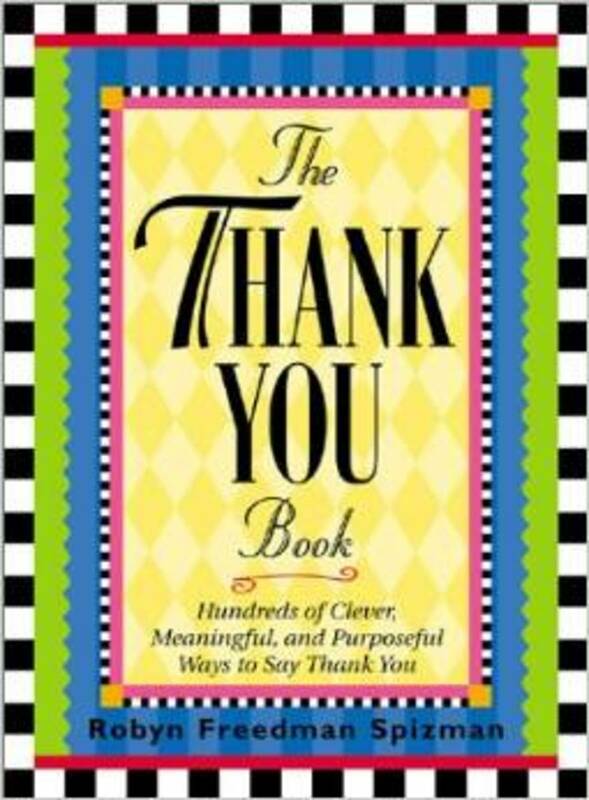 I think we don't think of thank you notes as much as we sonce die, which is a shame. I get more telephone thank yous than note. I still send notes occasionally, but I sure appreciate all your tips in writing these notes. I think they are iportant. Yes, it is easy to get too busy to write a thank you note but I feel it's important to. The giver went out of their way to select it and that should be acknowledged. I think that is important Jason. If we always begin from a place of positive thoughts, the world seems a brighter place. This article helps spread the positivity brought by gratitude. Keep writing. I'm pleased you found some of these useful. Even if we are sincerely grateful in our hearts, sometimes it's difficult to transfer those feelings into words. Great Idea Mary, it's always hard to find the right words to say when writing a thank you card. Thanks for your suggestions. Yes, they too are enjoyable to read and it's nice to let the other person know how much we appreciate them. A card through the post, though as you say, seems to be going out of fashion and yet, they are so welcomed. Thanks for mentioning the option of an e-card. Yes, it can seem like a chore at times in today's busy life. It is something I think most of us struggle with, yet it can bring such joy to the person. I'm glad you enjoyed it. When we give thanks, I'm sure it helps us as much as the other person. Lovely to hear from you, thanks for your comment. Wonderful article, and for those who find postage expensive, there are a number of companies that facilitate lovely cards that can be sent by text and email that have a fun factor, many of them are even animated! Not quite as awesome as a paper card, but still enjoyable to get. Thanks for emphasizing the value of cards. I love them, but I also need to commit to sending them. Thanks for walking me through this "Thank You" process. Interesting! 6 months ago from Lokoja, Nigeria. This is more than sweet. My heart was reaching out to those I owe thanks while reading your article. Thanks for the beautiful reminder through this article. You're right about postage costs playing a factor. It's also a time element I believe. People now are less patient, and everything should be instant. As you say, when someone has taken the time to write a card and post it, it's a wonderful feeling to receive it. I suspect in a generation the tradition will be gone forever. This is a very helpful article Mary and a reminder that it is an all to rare thrill nowadays to receive a card through the post. Thank you notes are frequently overlooked and sadly seem to be a courtesy that is being replaced by email or social media - which don't have the same feel-good factor as the envelope on the doormat. Unfortunately, the high cost of postage here in the UK seems to deter many people from sending cards. Ah, ah, ah! But good to know. I went to school under the British education system in Nigeria. Hand writing was regularly taught at the primary level. I am good also at the cursive/calligraphy. It is good that you do the typing for him as it saves him a lot of trouble. Do your self the favor of penmanship soon. My pleasure meeting you! I am originally from California and handwriting, although taught was never pushed like it is in British schools. My children were raised in the UK and good handwriting was a major part of the system there. My husband jokes that I should have been a forger, as my handwriting looks like 4 different people have written it. When I give him a shopping list, I will print it as he can't read my cursive writing. Thank goodness I can type. I always think one day I might sit down and teach myself better penmanship. Even writing on unlined paper is challenging, as my writing slopes away. I agreed with you. But that your hand writing is bad(?) is hard for me to fathom. The English peoples taught me hand writing, and to turn round and tell the world that your hand writing is 'shocking' seems unbelievable. Perhaps, you mean a challenge with the hand? Thanks. These can also be adapted for text messages as well as over the internet. My handwriting is shocking so I prefer to type a message of thanks. I'm glad you liked it, I think it's important to acknowledge someone's kind act or gift. Great advice Mary. I haven't written a thank you note for years. but if I did I would come back and re read this. I enjoyed your Hub and I'm always looking for fresh ways to say thank you. I do think it is sad, however, it can be modified, and used as a text message. It isn't how it makes us feel to send out the thank you message, it's all about how it is received at the other end. I think for some of us over a certain age, we don't see this as okay but it is the norm for many. Just this past week I sent an online private message to a friend who lent an ear and a shoulder to cry on when I needed it. I know that a simple acknowledgement was welcomed. This is something which has disappeared over time, like sending Christmas cards, and I find that sad. It is such a beautiful, personal touch, don't you think? I'm pleased to hear that even in today's busy life, that the etiquette of a personal note is still strong. I'm glad you found it useful, have a wonderful day. Hello, Mary, thanks for sharing. I always sent a piece of thank you notes to whoever deserves such after a little favor. Sometimes, I sent those on postcards. Your article after reading it will enhance my messages. Have a great day. I have nurses in my family and I know the care they provide. The compassion with which they do their job, is awe inspiring and a comfort for not just the patients but the families. We are currently having some medical issues and the kindness shown to us is wonderful. Although we say thank you, it never seems enough. At the end of the treatment, a card of thanks will be given. Maybe we have to remind ourselves that it is the thought that counts. Perhaps your sister gets 'stressed out' about buying. There are some people who just know the right thing to give and others never seem to get it right. I like to think that people are well intentioned, but sometimes just scatty. Here's hoping this upcoming festive season, your sister will come through with shining colors. These are great ideas Mary. You are right that doctors and nurses are often the ones we forget. I will definitely do this to our doctors and nurses from now on. I particularly enjoyed reading the part about writing notes to givers of gifts you hated. My sister, bless her heart, is the worst at gift giving. She gave my husband a brown belt that was too small (he requested a black one) and ladies sunglasses and continues to give my mother and I candy that we really dislike even though we both told her we no longer eat it.